expressive, originally uploaded by jahansell. I'm not sure if it's a barn, an old church, a little house or just a shed! It's opposite the house I posted yesterday. If only the walls could talk! I see quite an impressive face in that building...two eyes, nose and mouth! 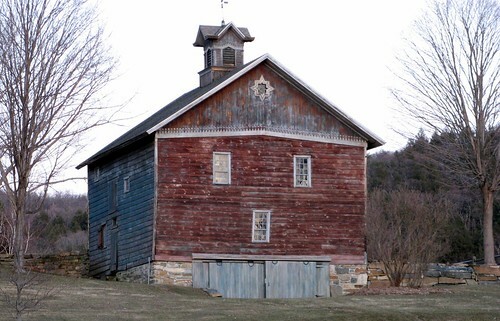 It is a barn. A nice one too. And somebody has taken care of it over the years. Nice photography. this is really very expressive. I love this photo and the yesterday one has special mood, too! What a great old building, whatever it is!